Our best selling inflatable - from 21.5 pounds! Very durable, light, versatile, stable and rigid. Inflates to 18psi. With 3 Pc. Paddle, Pump, Wheeled Back Pack, 3 Fins, Deck Pad and Deck Bungees. Available sizes: 9'8" / 10'2"/ 10'8"/11'6"
• Wheeled carrying case to make storage and transport as easy as possible. 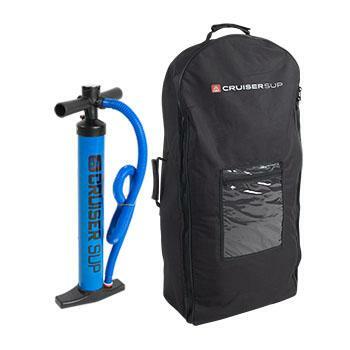 5 star rated CruiserSUP® Crossover AIR are super stable, versatile and light, with weight starting at only 19 pounds. Premium quality and durability, supported with 2 year warranty. 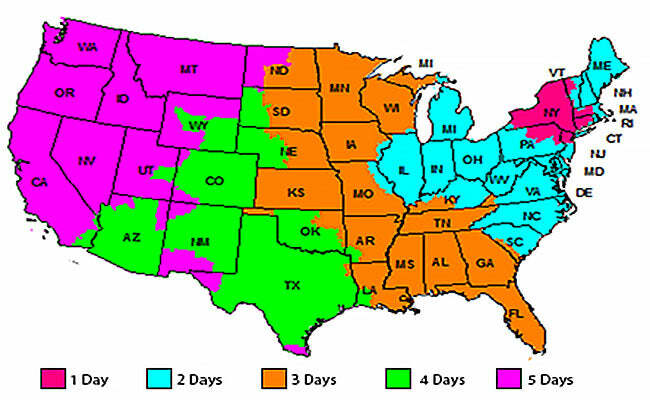 4 sizes and up to 5 colors to chose from. 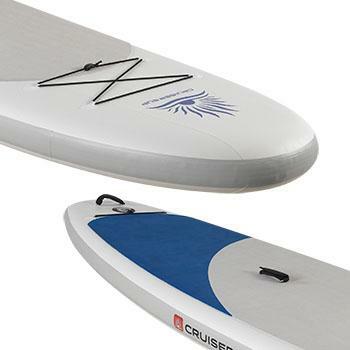 You are looking for a super portable, durable inflatable with stiffness that rivals non-inflatable boards. With the Crossover Air’s impressive 18psi inflation capacity, you will have all the stiffness, stability, glide, and tracking of a non-inflatable, just in a much easier to store and transport form. 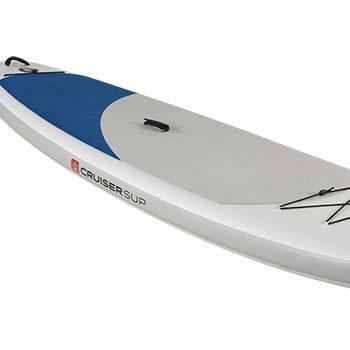 The Crossover AIR lets you go paddling anywhere, at any time. 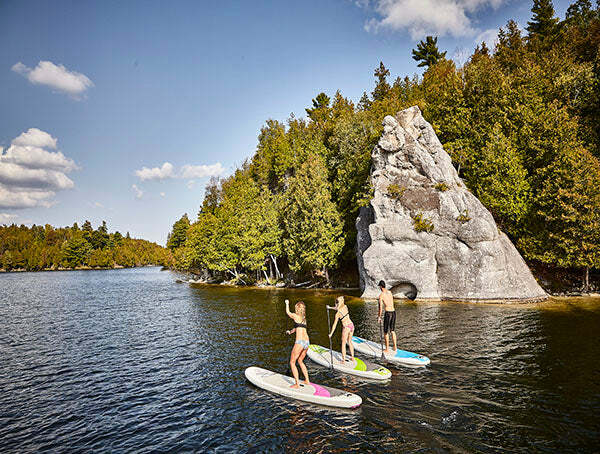 Simply inflate and start exploring your local lake, river, or dream remote paddling destination. 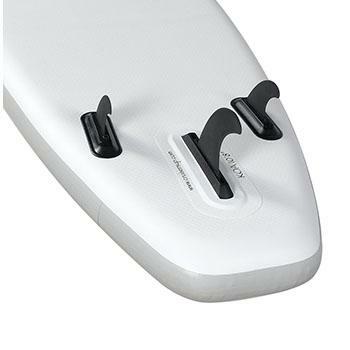 Great for SUP yoga practice. Length: 9'8" 10'2" 10'8" 11'6"
Width: 32" 32" 33.5" 33"